Ransomware is a type of malicious software designed to block access to a computer system until a sum of money is paid. It literally stops you from using your PC and holds your PC or files for “ransom”. Though there are numerous types of ransomware, they all do the same thing – stop your PC from functioning normally and demand you do something before you can use your PC. They can target any PC users whether it’s a home computer, endpoints in an enterprise network, or servers used by a government agency or healthcare provider. The worst part is there is no guarantee that paying the fine or doing what the ransomware tells you will give access to your PC or files again. 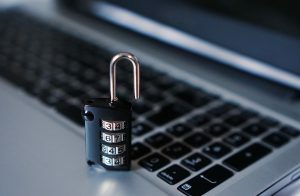 As cyber criminals moved from cyber vandalism to cyber crime as a business, ransomware emerged as the go-to malware to feed the money-making criminals. Ransomware is a USD$1 billion business that often evades traditional anti-malware. There are several key characteristics of ransomware. For one, it features unbreakable encryption, which means you can’t decrypt the files on your own. It also has the ability to encrypt all kinds of files, from documents to pictures, videos, audio files and others, while it also has the ability to scramble your file names. By doing this, you will not know which data was affected. This is one of the tricks used to confuse and coerce victims into paying the ransom. Ransomware also requests payment in Bitcoins as this crypto-currency cannot be tracked by cyber security researchers or law enforcement agencies. The ransom payments usually come with a time-limit which if not kept could cause the ransom to increase or result in your data being destroyed forever. Once ransomware latches on, it will display an image or a message that lets you know your data has been encrypted and you have to pay a specific sum of money to get it back. Ransomware is the number one malware attack affecting organisations today. Fortunately, all is not lost and one effective way to protect yourself from falling victim is by installing software which prevents the malicious spontaneous encryption of data by ransomware – even trusted files or processes that have been hijacked. Once ransomware gets intercepted, it reverts your files back to their safe states. It is designed to augment your existing endpoint security or antivirus software, giving you next-generation anti-exploit, anti-ransomware, root cause analysis, and advanced system cleaning technology. For more information on the solutions and IT security services, contact IT Solution. You can also get more information how to prevent ransomware.